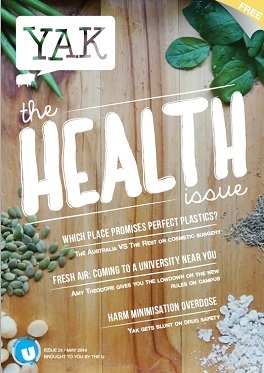 This month, Yak Magazine presents the Health Issue, covering topics like harm minimisation, a smoke-free campus, yoga, food and plastic surgery. Print copies can be picked up at press points on campus. Visit here for a full list of locations. Arctic apples: How stoked should we be about this Frankenfood?